"Security is one big mess"
Not Verified | Security check area is one big mess. So confusing, you don't know where to go, where to stand. The staff is telling you to stand here, go there, move somewhere else, it's very very slow and chaotic. You put your stuff in plastic baskets. They tell you to put your passport and ticket there, your basket goes further away on the belt, at some point you lose it out of sight, someone can easily take it. Then the staff say go to the different line over there. How can I go there with my passport and ticket being on that belt somewhere. But they tell me to go there! So I go. My turn comes and they ask me to show my passport and ticket. So I say that my passport and picket is back theee! So they are annoyed and send me back. So I go and the staff looks at me as if I was stupid or something and ask me why did you come here? Anyway, I passed security check and luckily my passport and ticket was at the end of the belt waiting for me. Be patient, follow the orders and hope your passport will to be lost! Good luck! Not Verified | I traveled as a family and then as an individual and found the airport to be clean, friendly, and visually appealing. We had good experience with on the ground staff - employees and contractors who helped us with young children. Some of the security and immigration procedures could be sped up, but then this is with many of the other World class airports as well. We had ample food and beverage choices and shopping options and choices are World class! All in all highly recommended. "Customer service is non existent"
Not Verified | As a citizen of India, I am ashamed that our countrymen can treat their fellow citizens with such rudeness. Customer service (especially with immigration and security staff) is non existent. The security staff uses "tu" "tera" and extremely informal language with young travelers. I was a bit shocked that being a 30 year old guy, I was being yelled by them like I was a child. The immigration always asks you irrelevant questions while you are leaving the country despite having a valid visa and ticket. The immigration process at Delhi airport is almost always borderline harassment. I do not understand how people can say that this airport is nice. Sure the building is great, the food court is nice, etc. But the staff really need a major crash course in interpersonal skills. I beg the management of the airport to please provide some customer service training to the security and immigration staff there so you don't always leave your own country in a bad mood. "check in area is busy and chaotic"
✅ Trip Verified | At first be aware of a fact when entering the terminal there is an army officer checking documents. Some of them are fine, some not. The check in area is busy and chaotic so try to spend short period of time there. The Wifi doesn't work there as well. I would rate this area 4/10. After going through the security check which is very diligent and bit uncomfortable the whole feeling of the airport changes to 8/10. A lot of shops, restaurant reasonably priced, wifi works. There are some Indian statues and monuments to outline the Indian atmosphere. 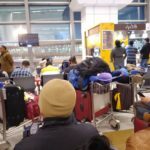 "They don’t have enough staff"
Not Verified | One of the worst airport in the world. Check-in takes too long. After that they have immigration lines that take a really long time. They don’t have enough staff. Then the security line that takes forever. Why can’t they have enough staff to faster the process. On top of this the staff are rude. 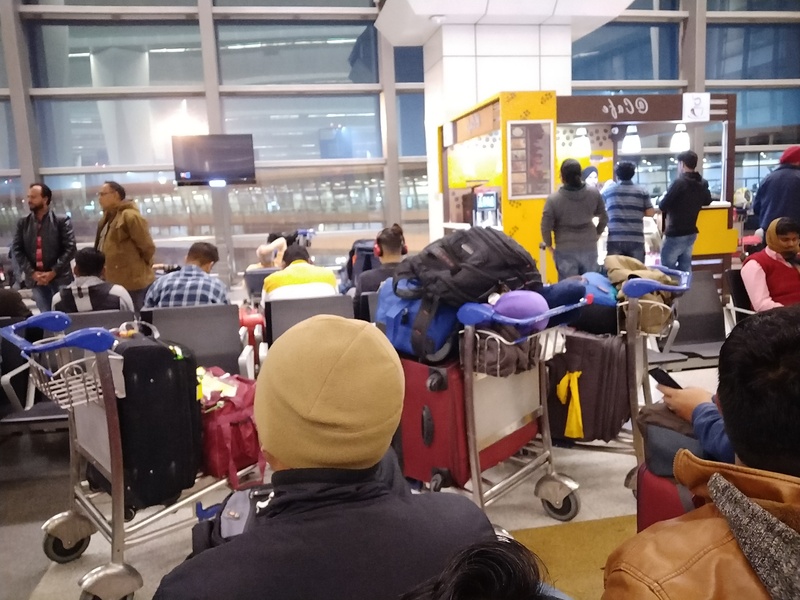 "staff are extremely rude and lazy"
Not Verified | Horrible experience - will never fly through Delhi airport again. Had an international transfer here, had booked the holiday inn in the terminal and didn’t even get to my booking as I was stuck at the transfer desk for 6 hours. The staff are extremely rude and lazy and half of them were just sitting at the cell phone charge spot in the transfer areas on their phones. They need some serious customer service training on how to treat passengers, awful, awful, awful experience and hope I never fly through Delhi again! No food shops except for a small one and WiFi didn’t work so just a horrible experience to end what was a fantastic trip. Below there is a rating for staff, they don’t even deserve a 1 out of 5! ✅ Trip Verified | The airport ambience is nice but the ground staff are incompetent and rude. There is a long and slow moving queue in immigration and only a few duty staff are available, nobody cared whether your flight boarding is start or not or you are traveling with small child. 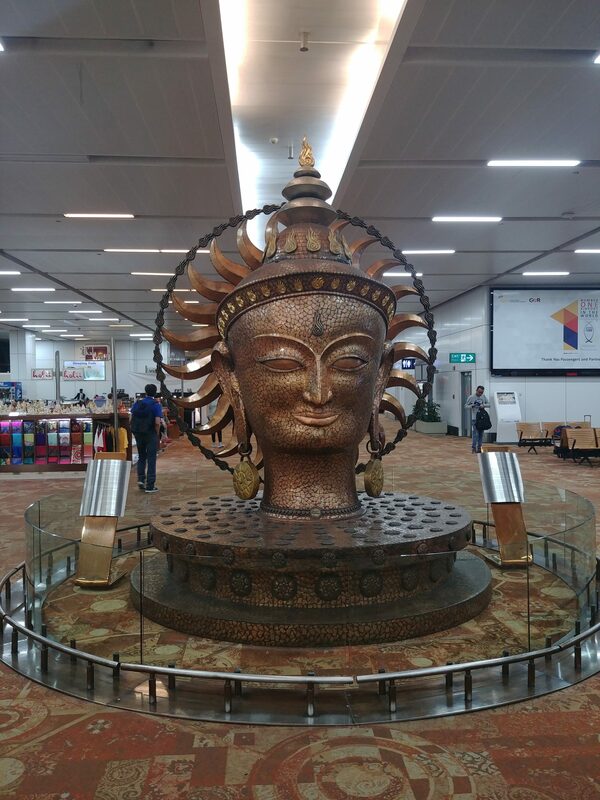 The most important problem which faced by all passengers for international flights is long and slow moving immigration and security check in lines, please improve this situation, appoint some skilled and efficient staff there so people when leaving India after a nice holiday dont carry bad memories with them because of airport inconvenience. Not Verified | The airport is beautiful but the staff is incompetent, rude and basically does not want to work. The immigration officers are always off duty even when the airport is crawling with people. Customer service training is needed severly. Not Verified | Absolutely disgusting experience. Everything else is on one side but why every single person works at that airport is rude? Do they not get customer service training? The custom females who does security check, think they run the world and address people saying "oye" really? I so wanted to say, miss you have a job because people like us travel. Can something get done about customer service at this airport? Airports are first place where people get initial impression of a country's hospitality. Hope someone will read this and do something about it. Dear Passenger, We sincerely regret for the unfortunate experience meted out to our valuable passenger. Please be assured, Customer Service trainings including refresher on Soft skills are being provided to our stakeholders at regular intervals. Further, your feedback has been shared with Customs for necessary improvements. Thank you for your feedback. We look forward to serving you better the next time you are at Delhi Airport. 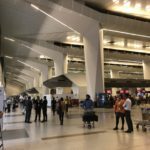 Not Verified | As a frequent traveler (over 50 international flights last year), I can absolutely say that Delhi is one of the worst airports in the world. 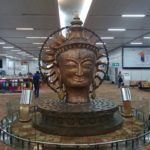 I have flown though Delhi 7 times in the last year - twice my luggage was lost, and twice my flight so delayed that I missed connecting flights. Greater than 50% major failure rate. 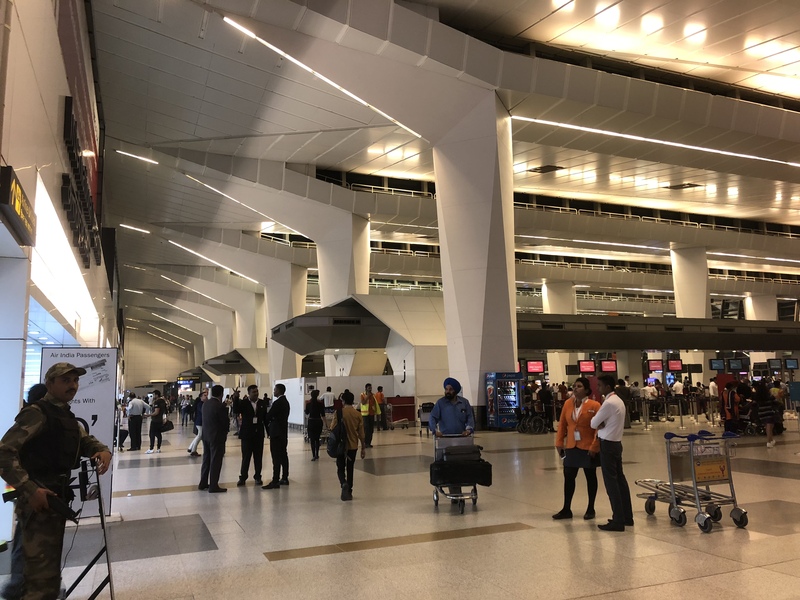 The staff in Delhi airport are the most unhelpful, lazy, disinterested people I have ever come across - from AI staff, to Celebi, to the airport attendants, the most you will get from them is a shrug and a wave of their hand. The transit area is terrible - a small pen where you have to wait for hours, with no toilets or food and drink. Transfer process is ridiculous - staff manually write your details into a paper book as big as a phone directory, then call someone upstairs to print and carry your boarding pass down. In 2019! They made a family of 5 spend 14 hours in this enclosure on my last trip because of mindless Indian bureaucracy. Immigration is terrible. Last night I waited 2.5 hours in the chaotic immigration queue. Airport staff offered no guidance and would straight up ignore you when you ask which queue to join. As others have noted - no wifi! In 2019! Mindless, useless security checks everywhere, filthy bathrooms. 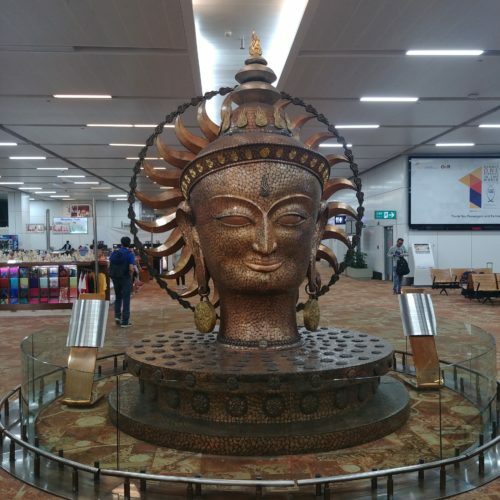 Truly this airport is a disgrace to India - avoid at all costs! So that I'm not completely negative - there are some nice food places and the interior of T3 departures is well designed. Everything else terrible.